I have heard this verse before. Many times. But it never sat or resonated with me until last weekend at church. We were finishing up a series called Walls (discovering and breaking down the walls we put up between ourselves and God, ourselves and the community, between churches, etc.). Our pastor started out with saying fear is a wall that most of us need to tear down. And then it hit me. There have been SO many times in my life that I've been scared. I built a spiritual wall of fear between me and God. Not letting him inside my heart to work His will. I sat in church trying to multitask for the next 45 minutes. I was going through the past couple of years pin pointing so many times I hadn't put trust in my God. I was simultaneously trying to listen and open up my ears and heart. I know I've said before that my husband's trust in the Lord amazes me. I admire the way he puts full trust in God's plans, despite them being different than his own plans. So the list kept growing. Looking back, here are a few instances where God has worked wonders on my heart. I failed to trust him and He still showed me His grace. I think as humans it is hard to admit our faults and wrong doings but as Christians, that is what God craves from us. Like the times where I begged Jon to run away and elope with me while we were dating. We only dated for a year before becoming engaged but I knew he was the one, and he knew I was the one. Unfortunately the world puts a minimum time on how long you should date before you are engaged, regardless of the strength of your love. We prayed. I was anxious and Jon stayed calm. He knew that the Lord would show us when we were meant to be married. The Lord has a time and place for everything. The Lord planned for us to be engaged on July 15th, 2010 and it was one of the most perfect days of my life. I just wish I wouldn't have spent so much time planning and worrying. Or like the time I missed my period earlier this year. For those of you on "the pill" you know exactly what it means when you miss your period. And I was certain. No we hadn't planned on a babe that soon but wow if I was one of the .001% of people that got pregnant on the pill, it was meant to be. And we were not pregnant. And I was sad. And it was hard for Jon to understand. It wasn't something we wanted yet or planned for but it would have been beautiful. But it was not God's plan. And right now I am actually thanking God for saving parenthood for a little while for us. So I don't want to continue bashing myself or my abilities to trust in God because I want you to know that I DO trust Him. I am a work in progress. Just like any other Christians. Just because my husband finds it easy to put all his trust in the Lord doesn't mean he struggles with other areas of his walk. And that does comfort me. It comforts me knowing that we both have different strengths that we can teach each other and help each other grow. I feel like I am twice as strong a person with my husband by my side. So how do I trust in God? It was 2 weeks before our wedding. January 20th. I got laid off from my job. Yes. Insert blood curdling bridezilla scream. But that is not how I reacted. I, along with 200 others in the sales department, lost our jobs for budget cuts. Yes I cried and to be honest, said some bad words. But I quickly got over that. In the weeks leading up to my lay off I was in a weird place at work. Since my boss had left, I felt out of place. My team was remote, I didn't have much face to face interactions. I kind of hated my job. But isn't it always easier to stay put than to find something better. Honestly I don't think I would have left my job if I hadn't been laid off. So what happened next? I prayed! I was so proud of myself because the first person I wanted to talk to was my God. I asked him to lead me to my calling. Maybe I wasn't supposed to be working in software? Maybe there was something better out there for me. And there was. I took it upon myself to reach out to friends, previous co-workers and even the CEO of where I did my internship. Within 24 hours I had 3 interviews lined up for the next week....the week before my wedding. I have to say that I WOULD lie awake and night a little nervous about my future. I was about to get married, we were going to pick up our puppy right after our honeymoon. We wanted to move. But I NEVER let that stand in the way of one of the best.days.of.my.life. Never. I focused on everything wedding and never let myself lose faith. There were people at the company I worked for who lost their job and had families to feed. Braces, cars and college to pay for. I knew I was not the worst off and I prayed for the others too. Now the week of our wedding happened to be the Texas-blizzard of the century millenium and I did not have final offers from the 2 positions I continued the interview process with. And I was so happy. I continued to smile! I WAS GETTING MARRIED! To make an already long story a little less longer, I received two wonderful job offers the day we returned from our honeymoon. To go from no job to having to choose from 2 jobs is such a blessing, especially in this economy. I really do love my current job that I have now been at for 10 months (and yes it is still in software). -Realizing that God works in crazy ways. Sometimes there is pain, sometimes there is hurt...but there is ALWAYS joy in the end. So give your heart to the Lord, He knows exactly what to do with it. I struggle with this too. I'm always worrying. Thanks for reminding me to have faith that it will all work out as it should. This is such a good word! So glad to hear that you are learning to trust Him more. He's been teaching me that same lesson for YEARS and I'm so stubborn that it's probably going to take a whole lifetime for it to truly sink in. 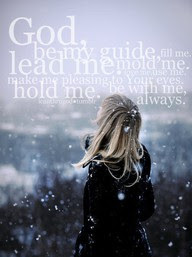 I actually posted on this same topic a couple days ago and I used that picture from your pinterest of the girl in the snow :) I love that prayer! And this is why I heart Ruthie! Great post!! I am going to book mark it incase I need a pick me up someday!! 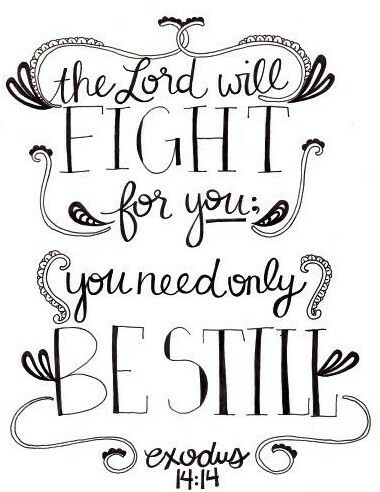 this is just what I needed to hear. i'm still finding myself and my way in the world and i have made soooooo many mistakes...and i have found soooo many miracles. thanks ruthie. So glad you shared this! I can certainly relate and I'm sure many others can too. The older I get the easier I can see all the ways God gave everything to me at exactly the perfect time. I just didn't realize it while going through it. 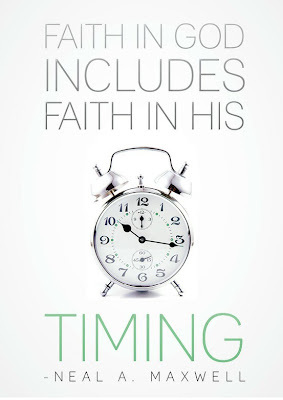 But even so, I still find I have to remind myself sometimes to keep faith in God's time. God 100% used you today through this post. Thank you for sharing with me. 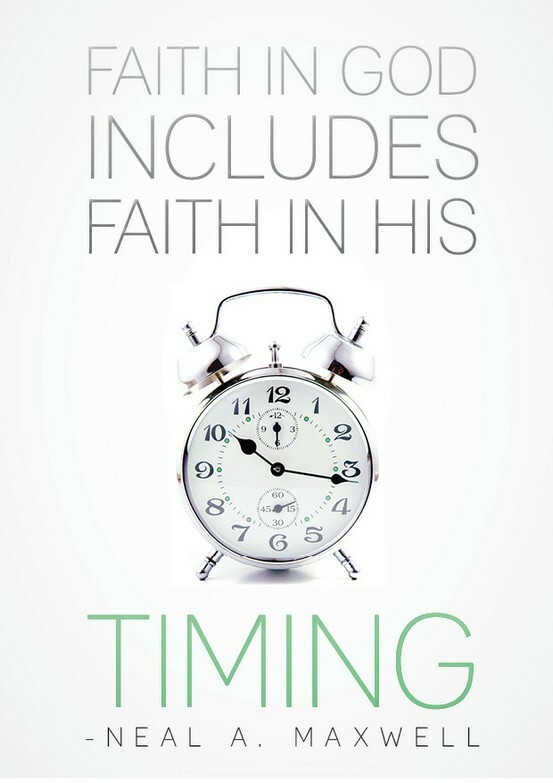 I am struggling with fear about a certain topic (you know what) and it not happening and I know that I just have to have faith and trust in God's timing. Thank you for your transparency and for sharing with us! I love how God has used "His plans" to sharpen you and strengthen you for His glory!!! thank you so much for this post. it is so uplifting! and inspiring. You are such a wise cat, Ruth! I love and believe everything you said and suggested in this post to be true :) It always seems that "life happens while we are busy making plans". Isn't that the truth? I think it's awesome how strongly God has a hold on his children and will direct them even when we fight, don't trust, or argue with him...he is never failing and will always love us! Thank you soo much for sharing this! God is amazing things may not happen the way we expect them and thats ok.. because God Always has something Better up his sleve!! This was such an uplifting post! I can totally relate to that feeling of being in the .01% who misses her period and then feels awfully sad when she finds out she's not. Isn't it a wild feeling??? This post is so on time for me! There are currently two things that I am praying the happen in my life right now (among other things). The hardest thing is to recognize that if an when these things are supposed to happen is not up to me, but it is up to God. Whenever I feel defeated about these things not happening in my time, I find comfort in knowing that they will happen in HIS time. Thank you for this post! What incredible timing this post had! It was a much needed inspiration to things I struggled with TODAY. I appreciate your honesty with your situation and it is so relatable. Thank you! Thanks Ruthie! He is amazing, in so many ways we don't even realize and your story is just another example of how He never fails us. Very uplifting....just what i needed tonight! What a cool post Ruthie! I think it applies to pretty much anyone as we're all in a waiting period for various things in our lives. I LOVE that verse in Exodus. It is so wonderfully peaceful and calming. Our God is AMAZING!!! Being a Christian is being a work in progress and I am understanding that now that I am older more than I ever did growing up. I too have always struggled with just "letting go" and giving it all over to God. But as I tear down my walls and begin to trust more, I can see a point in the future where I will be able to do this, and honestly, I find it exciting and reassuring at the same time. So nice to connect with someone who is having or has had the same thoughts as I. Thank you so much for posting this. This was a great post! My husband loves Neal A. Maxwell, he's so great. I noticed in one of your previous posts that you had a quote from Hugh Nibley, one of my favorite religious scholars. Thanks for the reminders.